Big cybersecurity challenges aren't limited to large organizations. Small and medium-sized organizations are subject to the same vulnerabilities, exploits, and attacks that plague multi-national enterprises. Unfortunately, these smaller organizations don't have the same resources as the big companies to use to defend themselves. That's why it's critical that small organizations make the most of the cybersecurity resources they do have. 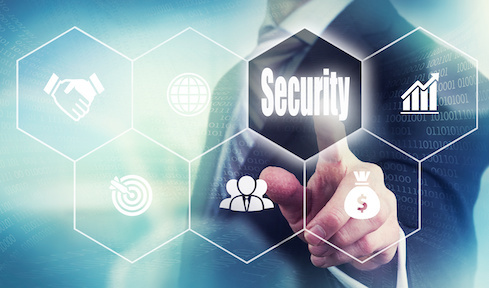 Constraints on small business security resources aren't limited to finances. Small organizations also have smaller security teams or, in most cases, a team of IT generalists who deal with security as part of their responsibilities. And while technology can be part of maximizing that small team's effectiveness, technology alone can't turn a small team of generalists into a large team of specialists. That doesn't mean that the small business situation is hopeless. When technology is deployed in support of well-considered policies developed through a thoughtful process, then small businesses can achieve a practical level of security that is as effective as that of larger organizations. The question, then, is which processes and policies will have the greatest impact. The eight steps listed here aren't meant to be taken one at a time like steps on a path. The first is a good place to start but after that they represent things that a small team should do — and can do — to get the most out of the security resources they have to work with. And these steps aren't meant to be an exhaustive list of things to be done. We'd be interested to know which things you've found critical aren't on our list — and whether there are any items on this list that you think are over-rated. Let us know in the comment section. I do agree the eight areas identified are important but it seems these techniques are not working. Training - there needs to be an online training program that is indepth and puts the security expert in a quandry, something that challenges them by putting them into specific scenarios that require the group to be part of. Stay abreast of the security and application areas, since technology is evolving, we need to evolve as security professionals. The writer mentions this but I think by challenging the security team by almost monthly (keeping them on their toes, will improve response times, this needs to be measured as part of the training proces). Create and deploy cloud environments to take advantage of implicit DR/Backup/Recovery scenarios (this allow users to create business databases in the cloud in the event if something happens to the primary business location, so if there is an outage, the cloud's load-balancers can move requests and work-loads offsite, the end-user would not be the wiser. Develop a "SecDevOPS" team to include application developers and security expert or it could be the same person, but application awareness and security should coincide with one another for future business development. There are other points, but I think this would be essential for any-type of business to utilize. Thank you for sharing, it does not cover it all but it is a good start.